As Congregationalists, we trace our roots back to the English dissenters who would become the Pilgrims of New England. The independent spirit of our Congregational ancestors is still a vital part of who we are today. Congregationalists were the first to ordain a woman minister, in 1853. They led the pre-Civil War abolitionist movement and established the Underground Railroad. They founded Harvard, Yale, Smith and Oberlin (the first co-ed college in the United States). Our own congregation was founded in 1895 as the Arthur Manor Sunday School Association, which was subsequently organized as a branch of the White Plains Congregational Church. Our first church, known as the Little Stone Church, was built in 1904 where the Parish House now stands. 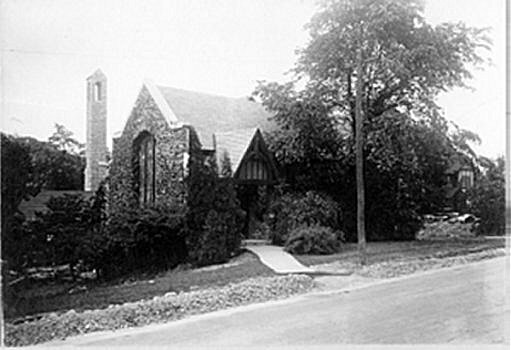 In 1924, the congregation voted to form independently as the Scarsdale Congregational Church. Our present sanctuary was completed in 1951. In 1961 we became affiliated with the United Church of Christ. To learn more, you’re invited to view a timeline of our congregation’s history and biographical sketches of some important people of our past.